The Alcatel-Lucent DACS III is part of the Alcatel-Lucent telecom equipment lineup that was sold off to Nokia as the brand spun out its assets. Nokia no longer provides support for this EOL device, but Worldwide Supply has a complete lineup of parts and replacements to help you get exactly what you need to keep your used Alcatel-Lucent DACS III equipment up and running. From filters and power supplies to connectors and more, we can ensure your DACS III still properly cross-connects DS3 to DS3 and STS1 to STS1 signals throughout your network. The Alcatel-Lucent DACS III digital cross-connect systems offer robust circuit switching to provide reliable traffic pathways in your network. They can bridge a wide range of lower TDM signals to higher classifications for more robust management as well as a more reliable network. Provisioning supports means a used Alcatel-Lucent DACS III will still route traffic around trouble locations, but it can save you money compared to costly packet switch equipment. Set your switch circuits to manage your flow with reliable pathways and executions, enabling units to last longer and your auditing and management to be more reliable. 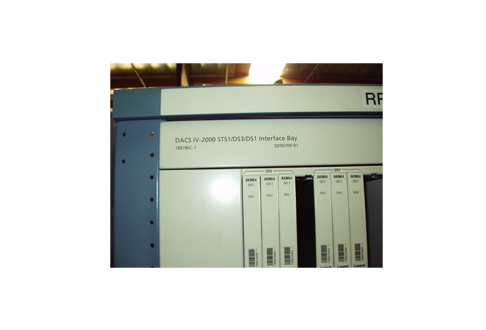 Don’t let your system down with a worn out Alcatel-Lucent DACS III that falls into a state of disrepair. Worldwide Supply can completely test all used Alcatel-Lucent DACS III and other DSC equipment. Our factory trained technicians with OEM qualifications make sure everything will work in the real world, so you know your network is secure.